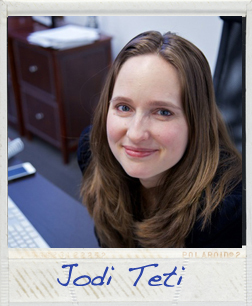 Jodi Teti is an L.A.-based writer, marketing director and churro aficionado. She graduated from Stanford University with a major in English Literature, a mistake compounded by an M.A. in 18th Century Literature from the University of Virginia. She enjoys hiking, science fiction and election years that eschew discussions of global climate change. Read the first page of Jodi’s story!